Today was my first day back to school! Let me just say, it's never a good sign when you're sweating profusely before school even starts. Our school does not have a.c. and it is a bit hot during the summer. I may have carried a paper towel in my pocket as to not drip on anyone. Too much information? But seriously, it was dang hot! It probably didn't help that I wore my hair down and a dress made of a thicker material, but you gotta look cute for first day pictures, right? My kiddos are too cute and I didn't have a single kiddo cry or run away. Pretty sure it is my first year without either of those catastrophes happening. We started the day by going over routines, as I would imagine most teachers do. 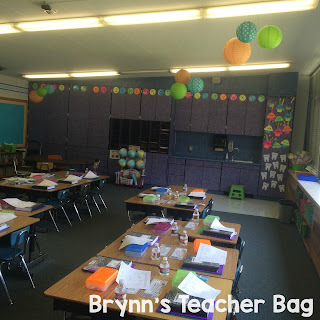 I showed my kiddos where their lockers are and what to do with all their school items. (How cool is it that first graders get lockers?) Lockers come in handy, especially during the winter months with coats, boots, and mass amounts of paraphernalia that kids bring to keep themselves warm! My kiddos came in to find a coloring page on their desk, so I could take pictures with the kids and answer questions from parents. Next, we learned how to move our lunch counts and what to do if we have something to say. Speaking of raising your hand, I have a little boy who raises his hand, jumps up, and shouts my name when he has something to say. I had to contain my laughter the twenty or so times he did this, but at least he raised his hand! Kids are a riot! 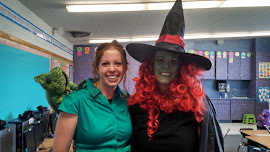 I took my firsties on a tour of the school and we found the restrooms, lunchroom, and other highly important places. I had one kiddo ask why girls couldn't go in the boys restroom, completely straight faced. I had to politely explain that we have separate restrooms because girls are girls and boys are boys. It seemed to make sense to this little cutie. This year I decided to implement Ron Clark's 55 Essentials in my classroom. 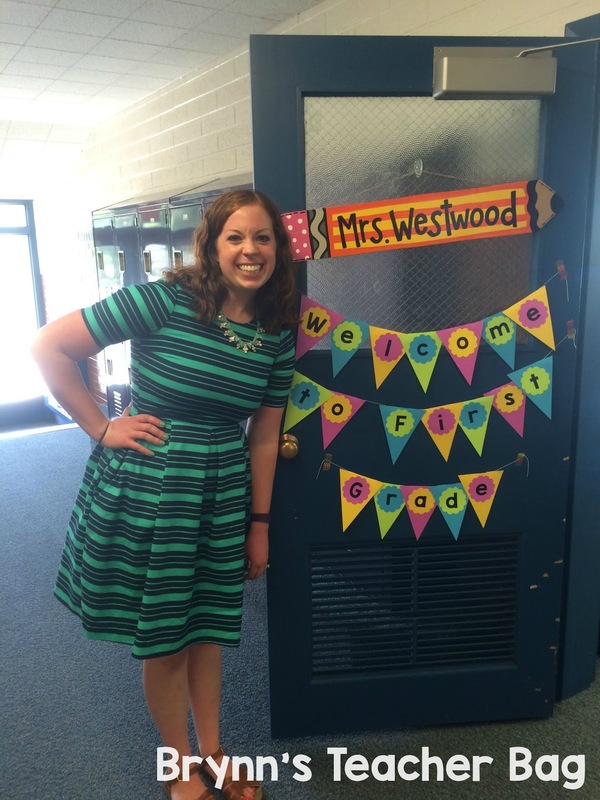 I created, "Mrs. Westwood's Essential 55" and put my own spin on a few things. If you haven't read this book, I would highly recommend you grab a copy ASAP! I am going through five a day, and I am already loving that my students respond with, "Yes Ma'am." Of course, we had to clarify that women are ma'am's and men are sir's. They found that quite comical. We took brain breaks of course, with some videos from Go Noodle. There weren't any adults around so I danced it out with my firsties! They thought it was hilarious. I told them that I'm old and can do it, so there's no reason they can't! Usually my firsties tell me I'm not old, but not these kiddos. You could have heard crickets!Absolutely no response! We also did a "Find a Friend Who" page. When I went over the page, and read through each box, I had my kiddos draw a picture to help them remember what the words said. I have quite a variety of reading levels, so I had all the students draw a picture to aid those who struggle. It worked super sweet! We came back from lunch and I read my students The Name Jar. I love this book and how quickly my kiddos picked up on the idea that names are unique and special. They commented that we shouldn't make fun of others just because we are different. I love how intuitive kids can be! We also got a little learning in, in math. I gave my kiddos a word problem that had to do with composing shapes. We learned the words compose and decompose, and I had my students write a three word definition for each. One of my sweet littles, told me that it was a LOT of writing. I told him that we do a TON of writing in first grade. Poor little guy is in for a rude awakening because tomorrow we are writing actual sentences! I ended the day teaching my kiddos about the "secret piece of trash." If you don't know this trick, you've got to read on! Here's how it works: I pick out a single piece of trash on the floor and my kiddos pick up trash until I say stop. They aren't allowed to ask if one of their pieces is the secret piece, or who got it, until the bell rings. I watch as the students are picking up their pieces. When the bell rings, I announce who has captured the secret piece. This student gets a small treat. The custodians love me because of this. 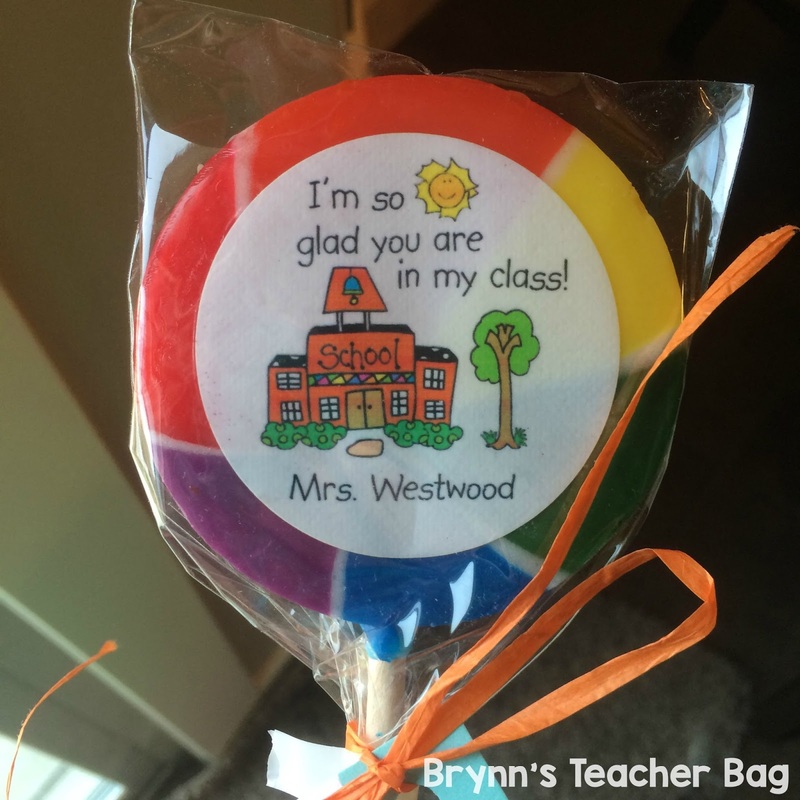 When the bell rang, I gifted some sweet, adorable lollipops from LolliPics to my kiddos and they were off! Boy, oh boy am I wiped out! Today was an early out day, so I can just imagine what I'll feel like tomorrow at this time, but I love what I do! Happy Back to School!